VL1TO-1244 TRADITIONAL OAK The Viligno Traditional oak has a slightly more unpolished appearance. 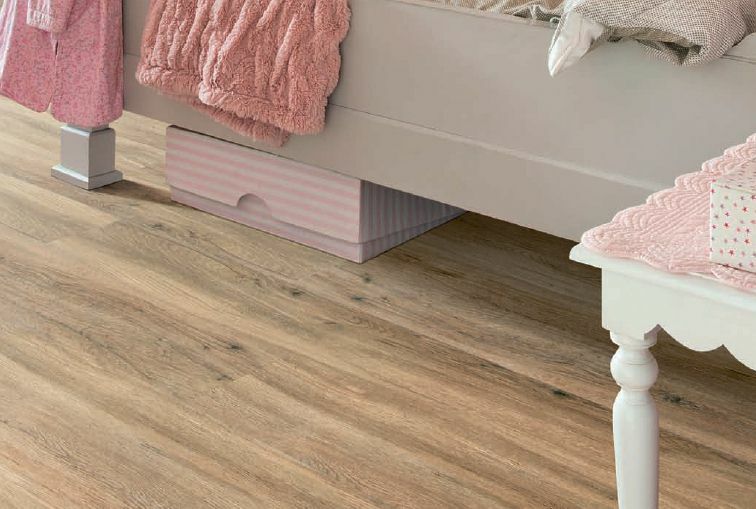 With its pronounced grain this floor suits a more rural and natural style remarkably well. Perfect for combining with furniture, accessories or doors of untreated wood and with fabrics, pillows, an..